McCorquodale Transferis the one of the most popular and trusted moving companies of the Birmingham and its surrounding areas. The company is skilled in residential moving, be it at a local or long distance. It doesn’t matter whether you are moving few boxes or a whole apartment, McCorquodale Transfer are always ready to provide any kind of help and can handle any move. McCorquodale Transferhas outstanding BBB ratings along with Google Plus, Yelp, Southern Marin Mothers Group, Golden Gate Mothers Group and other websites. The company provides various packages to their customers, such as only moving or packing & moving, along with these packages they also offer 10 oversized plastic bins with lids, 10 wardrobes, door jamb pads and floor runners which do not cost any extra fee. Other services such as loading, unloading, truck rentals, packing & unpacking are also offered by the company at the most affordable rates. The employees are highly professional and experienced with a minimum of 5 years of experience, so all your belongings are in the safe hands. They are skilled in handling and packing and then moving the belongings with proper care and civility, without any kind of damage. Not only this, the company has a good number of trucks with all the necessary equipment which are required to carry forward the move with ease. 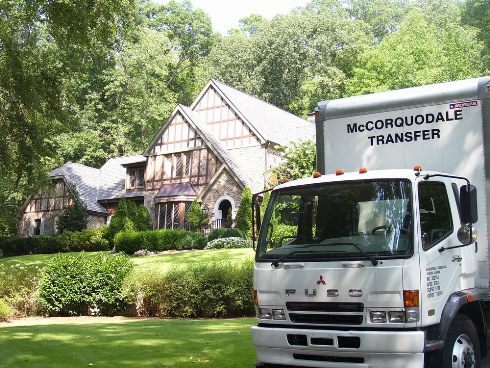 McCorquodale Transfer got established in 1996 and since then the company is proudly providing their extraordinary services to the community of Birmingham and has helped thousands of families in relocation and they are committed to doing so in future also. The company is fully licensed and insured and does not have any claims or accidents in their account. They have gathered a lot of appraisals from their customers and havemuch positive feedbackthat is why most of their new customers contact them through the referrals from existing ones. Their main motive behind the company has been to make your move stress free and hassle-free without any kind of burden. Bart M. is from Birmingham only and has been the manager of the company since it started in 1996. He has a lot of experience and knowledge about the moving business and he makes sure to motivate the other employees to bring that zest in them to work. Bart along with his team are skilled in removing scratches from furniture, fit oversized pieces and remove door jabs, professionally. For him, customer service and satisfaction is everything and he, along with his employees, aims to achieve it daily with the dedication and hard work. 2714 2nd Ave N, Birmingham.